After the tsunami that caused a nuclear accident in Fukushima, the Japanese authorities now want to rid the site of any radiation. Number two reactor would contain 600 tons of radioactive fuels . 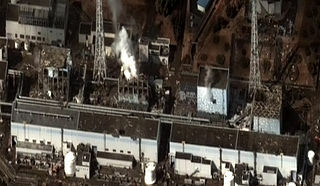 If the estimate of radiation was initially in the hundred sieverts, the measurements now indicate a level of 530 sieverts per hour . This is a problem for Tepco , the company responsible for overseeing waste treatment. Indeed, its exploratory robots all experienced failures due to radioactivity. Even the prototype from Toshiba that offers substantial protection ended at 3 meters from its target . These failures are explained by the presence of alpha, beta and gamma radiation . The latter particularly weakens the wiring and damages the electronic circuits. However, the stakes are high and the company will have to reach its objective by 2021.